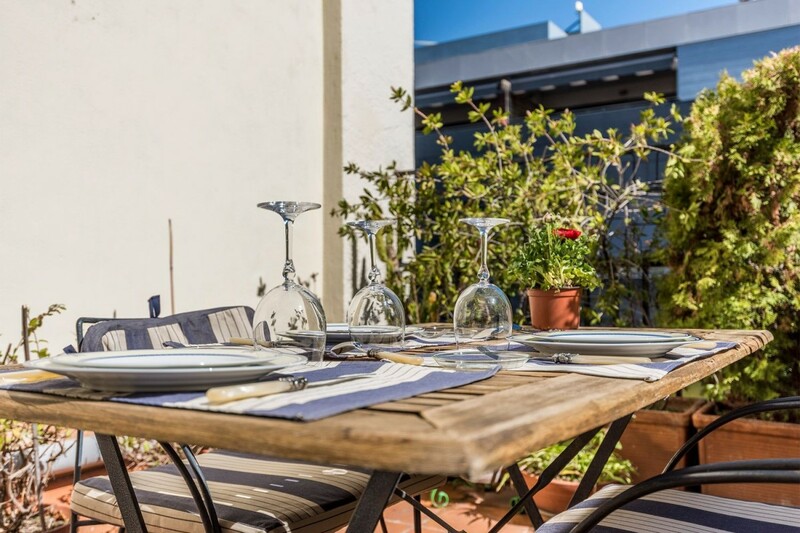 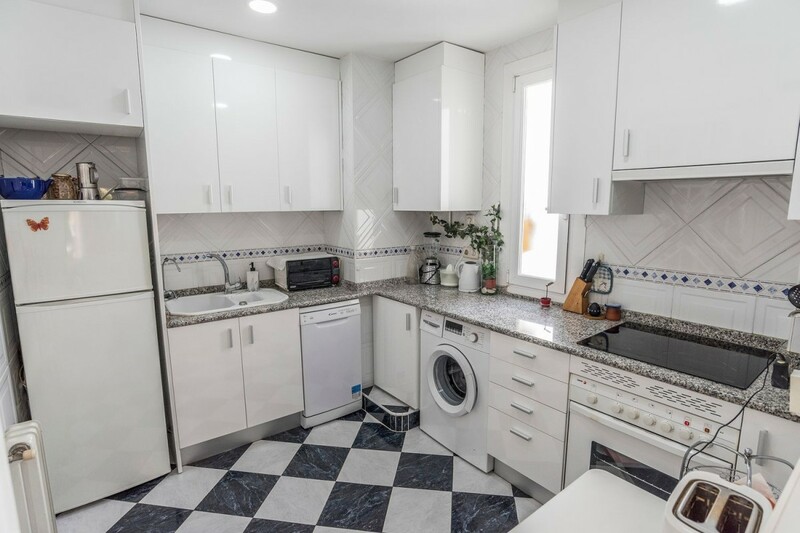 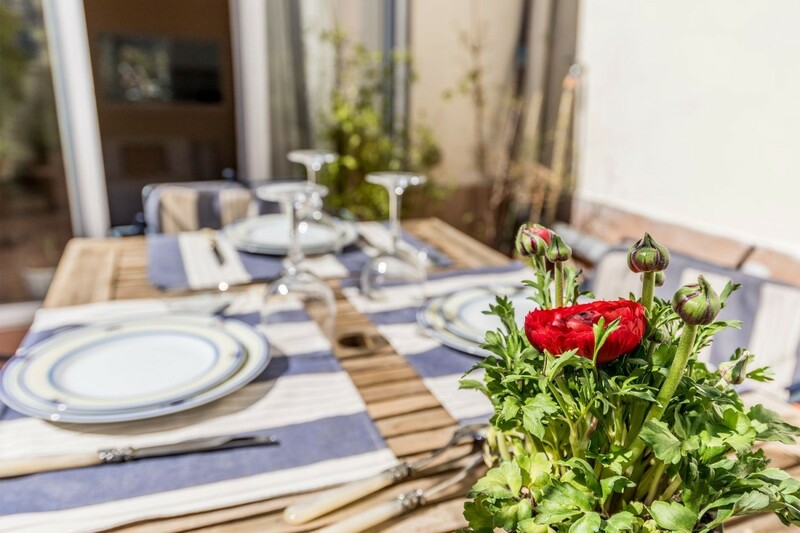 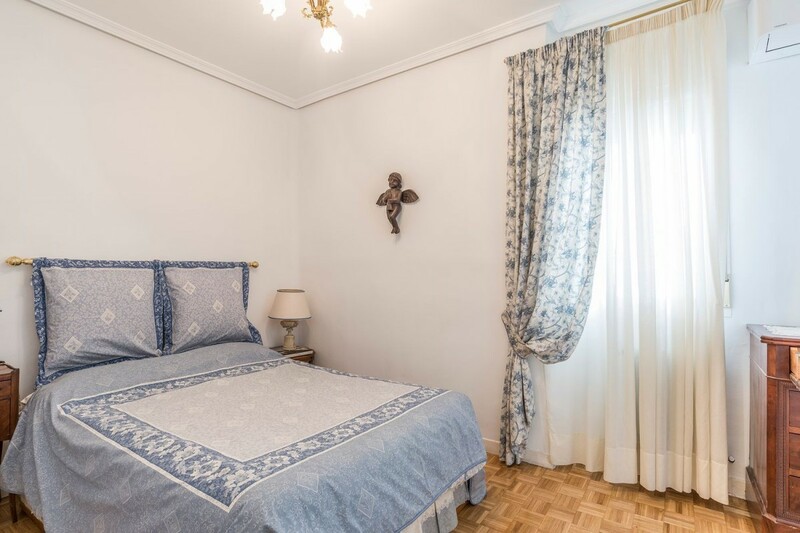 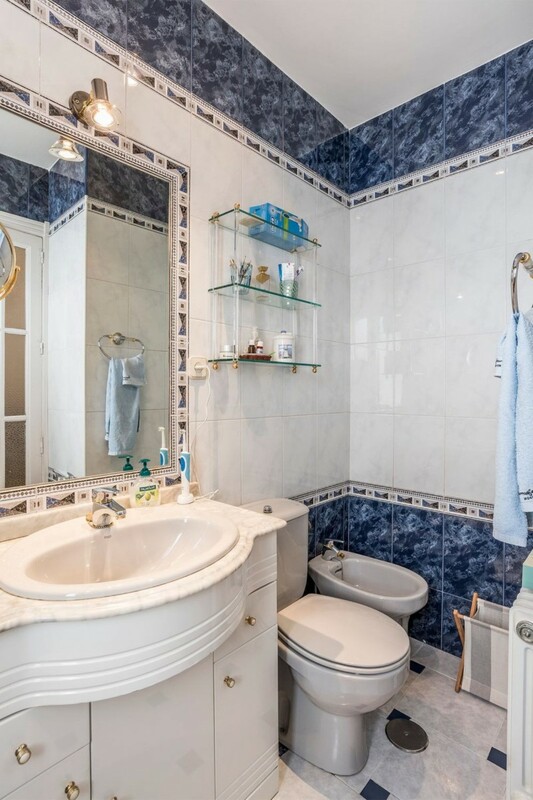 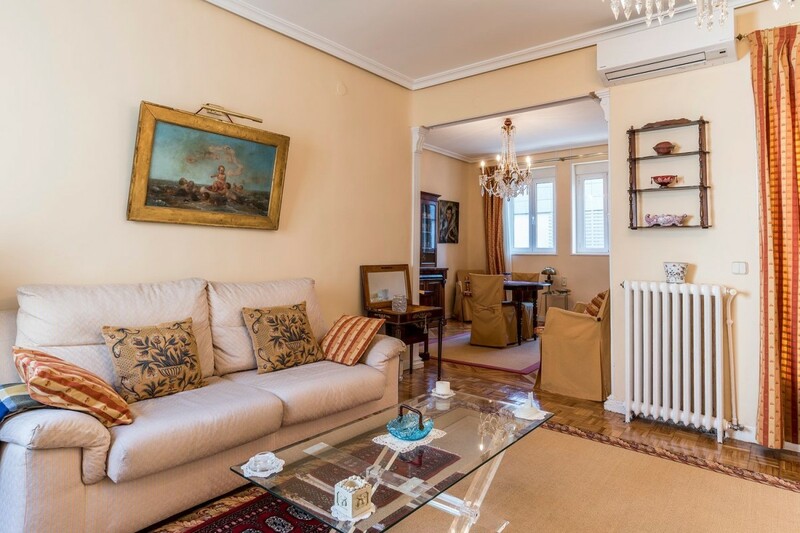 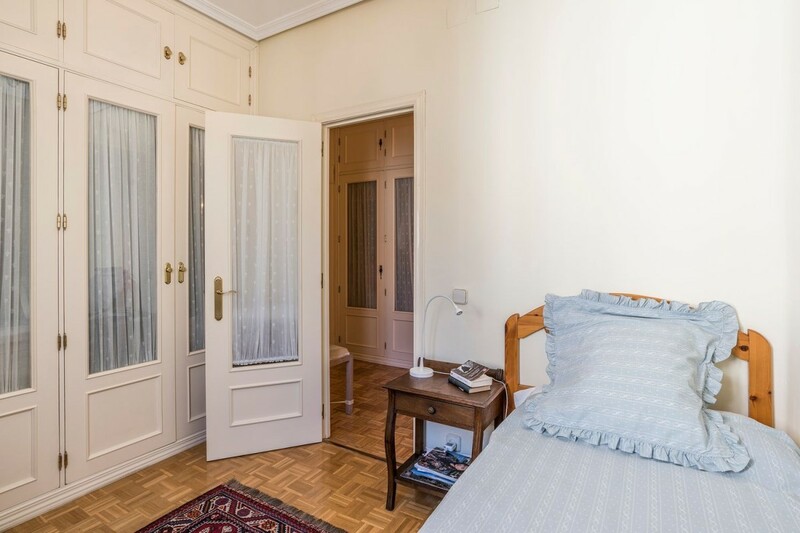 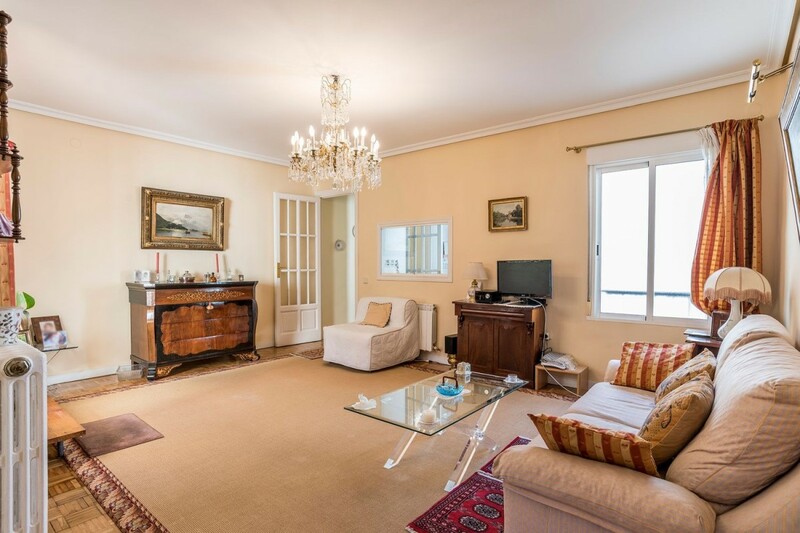 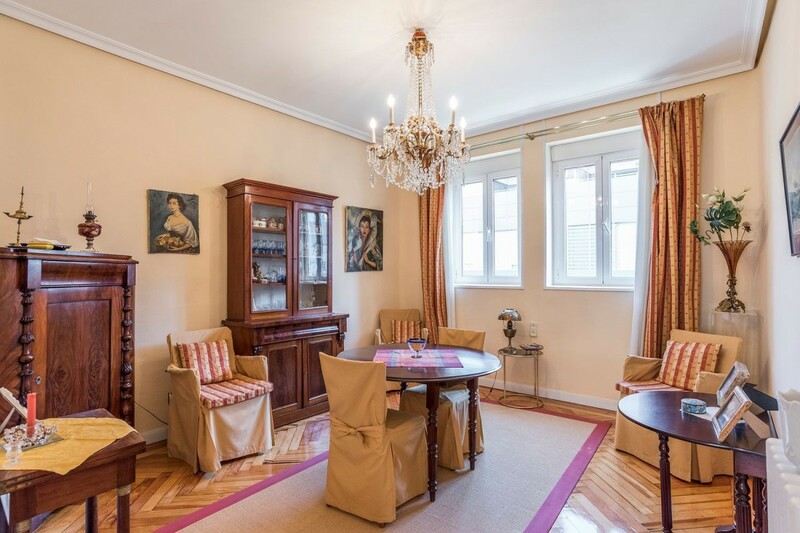 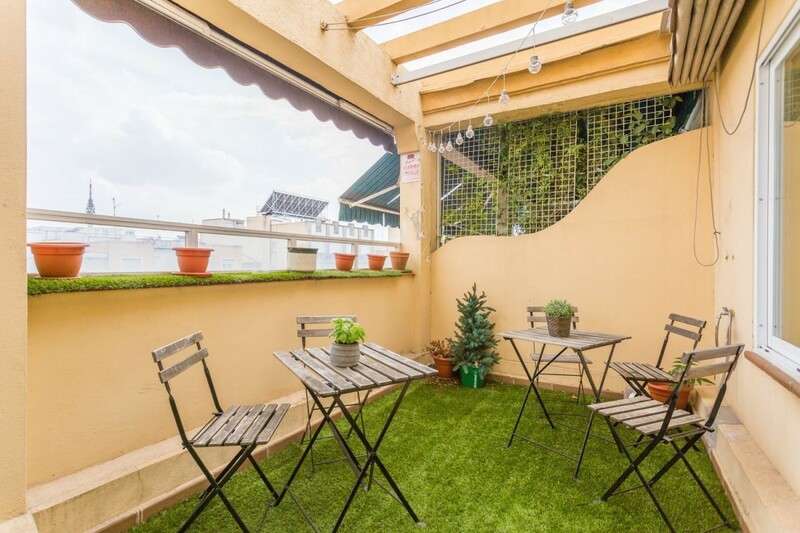 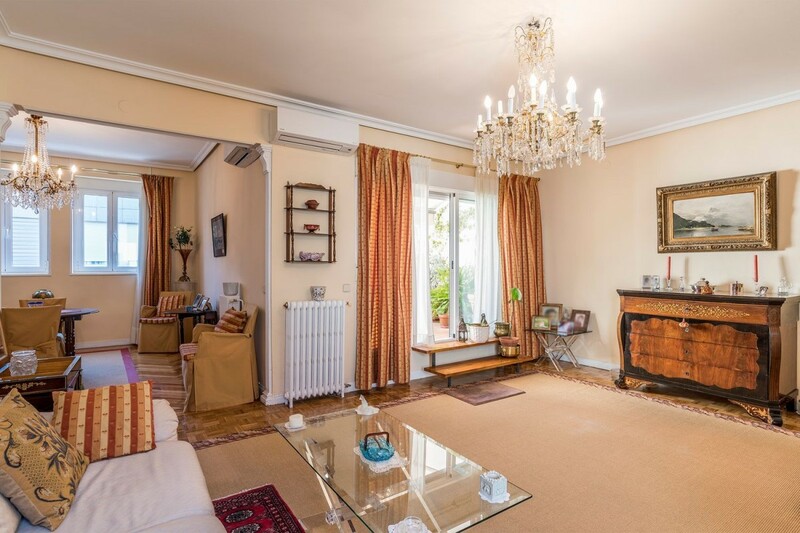 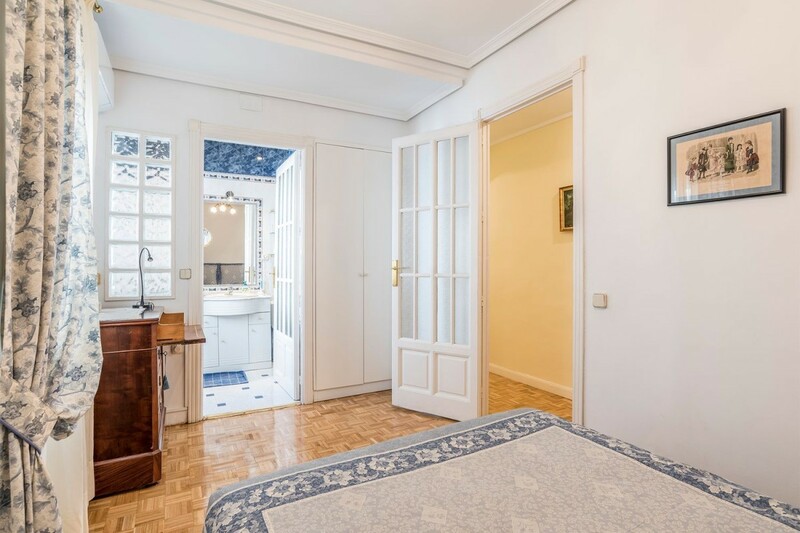 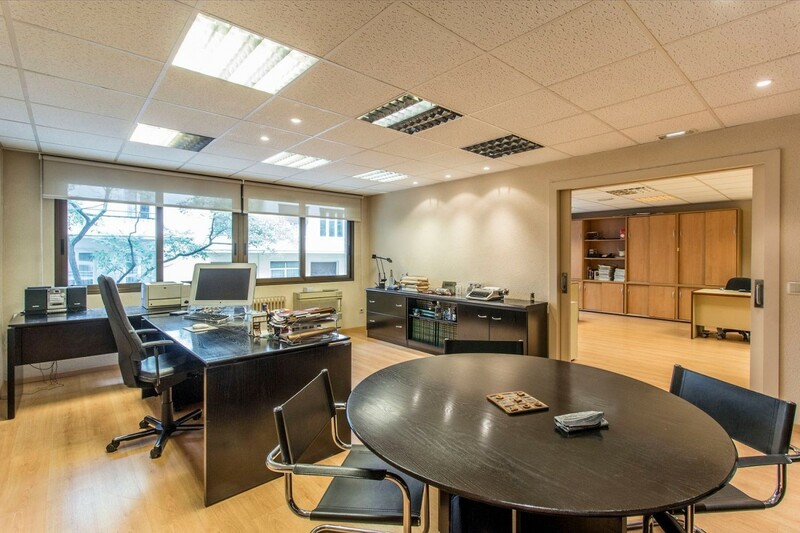 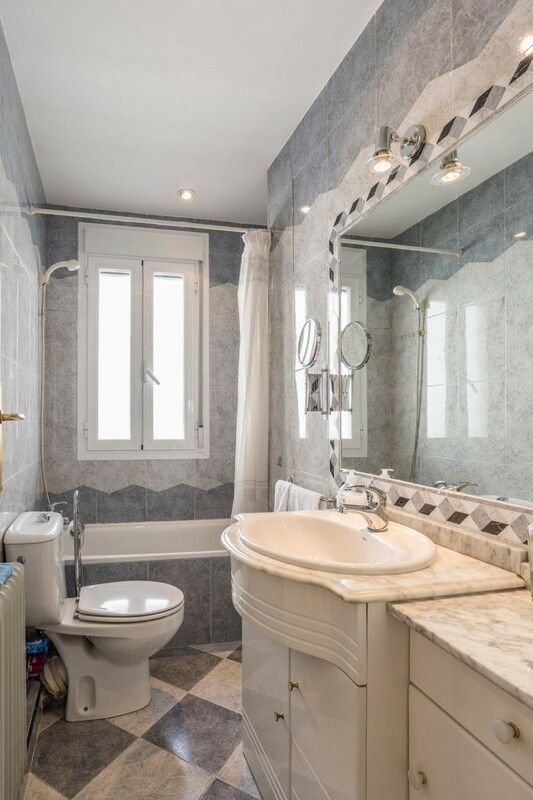 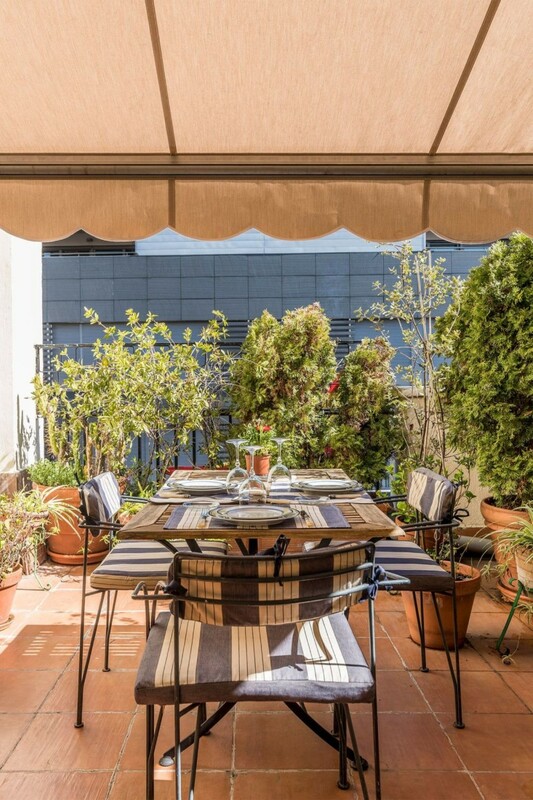 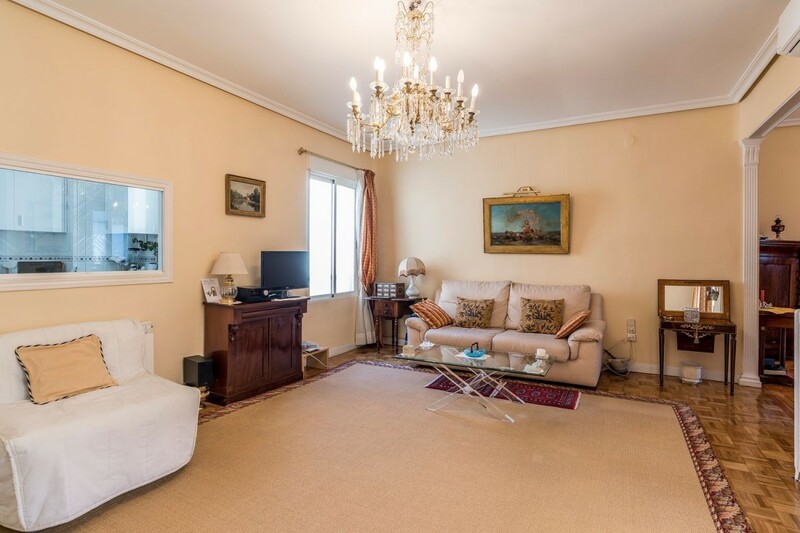 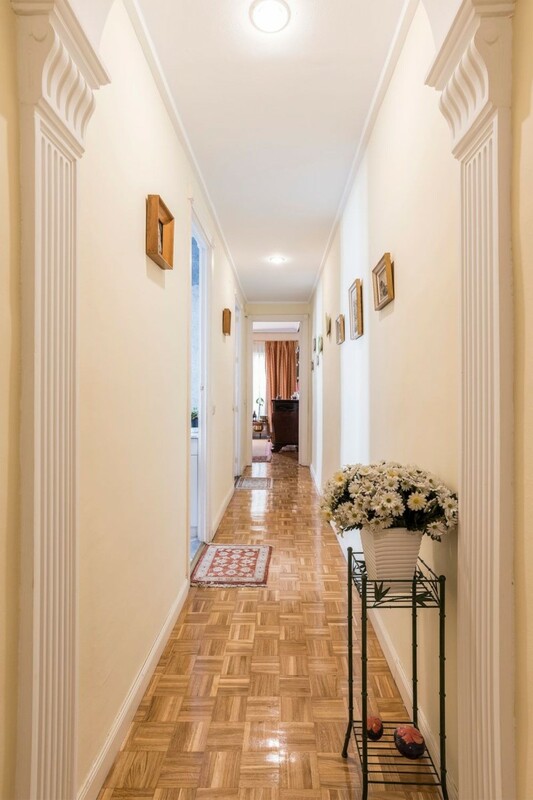 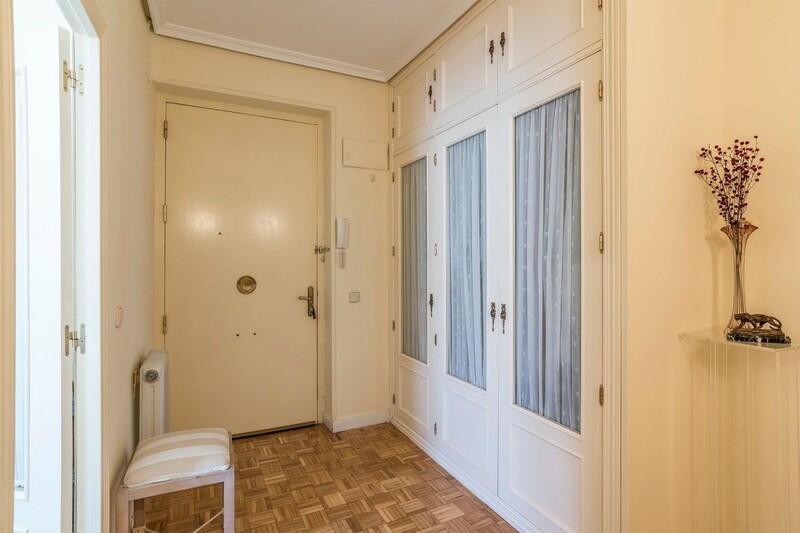 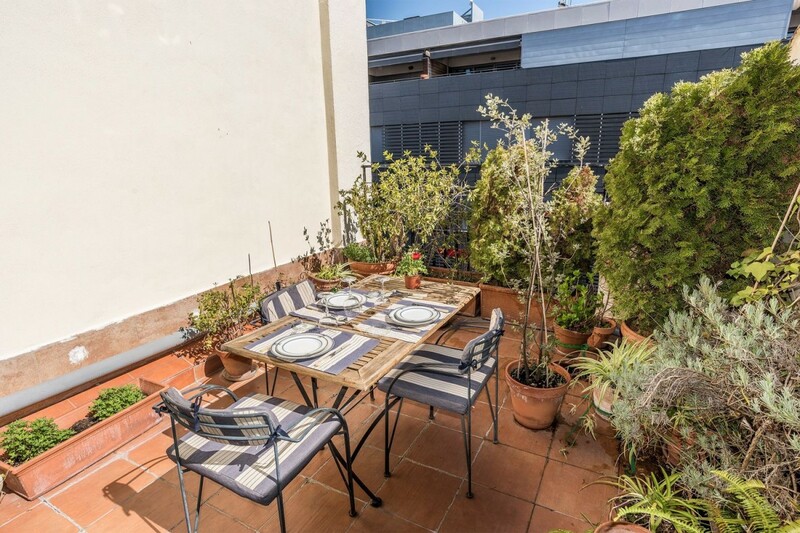 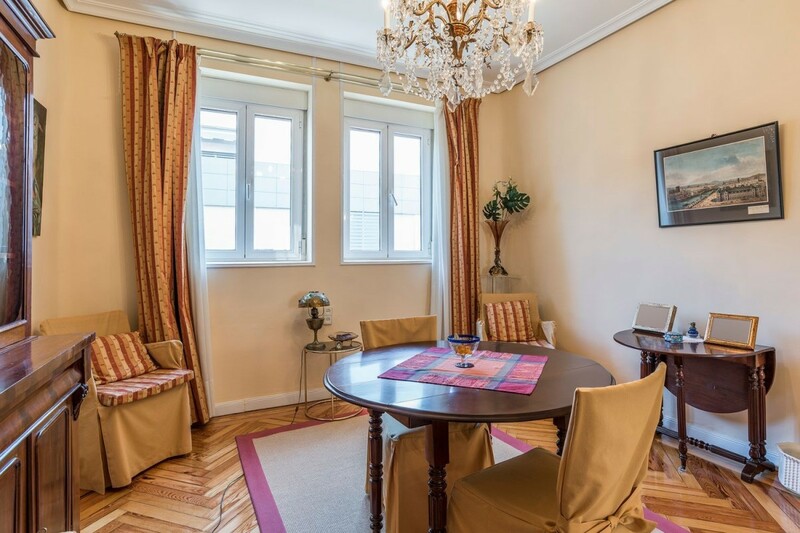 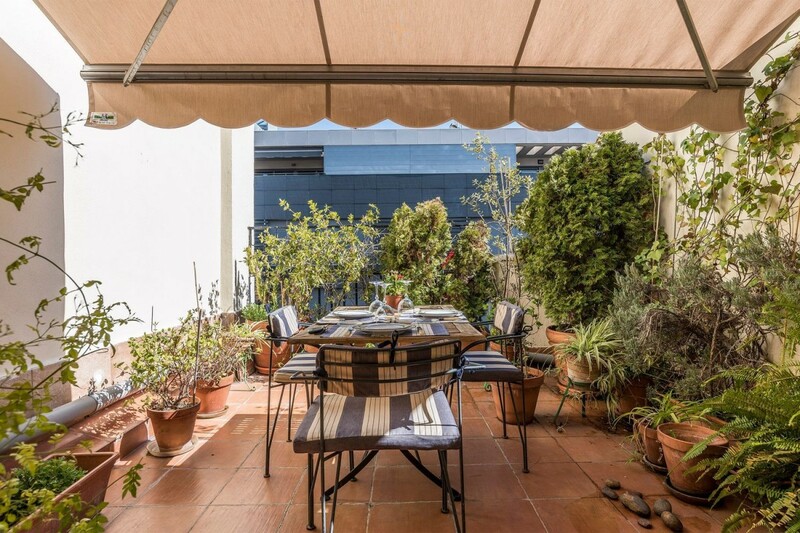 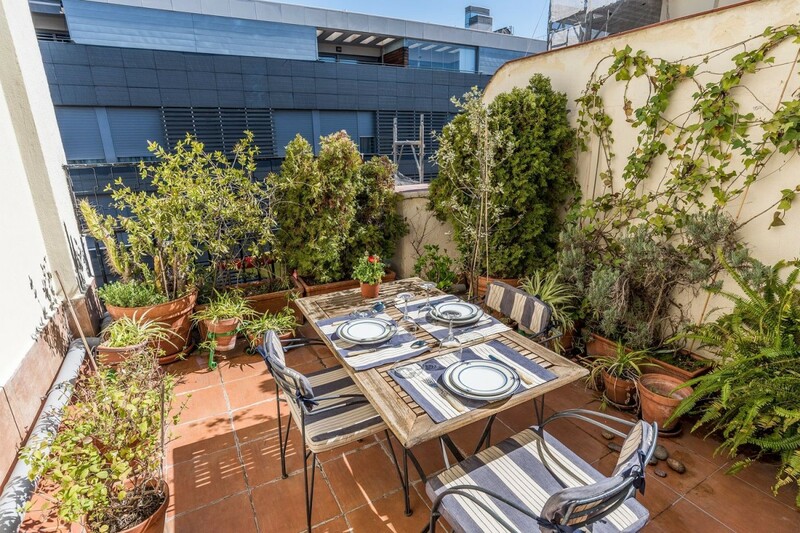 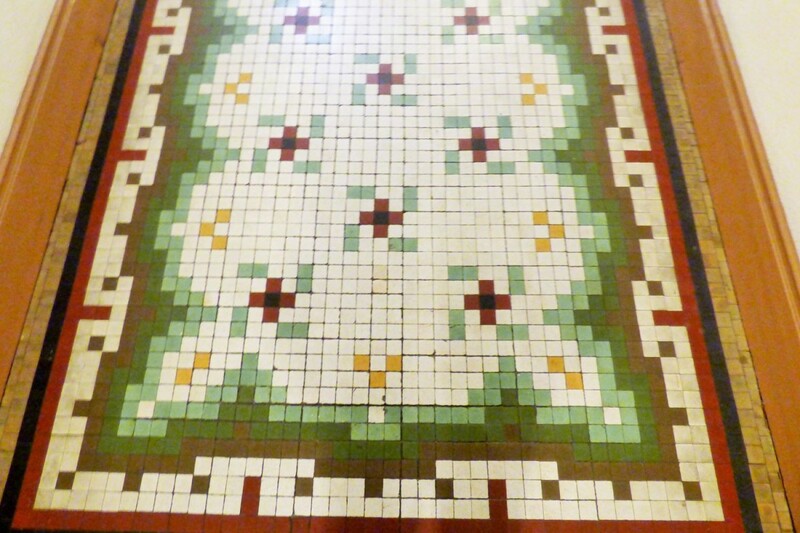 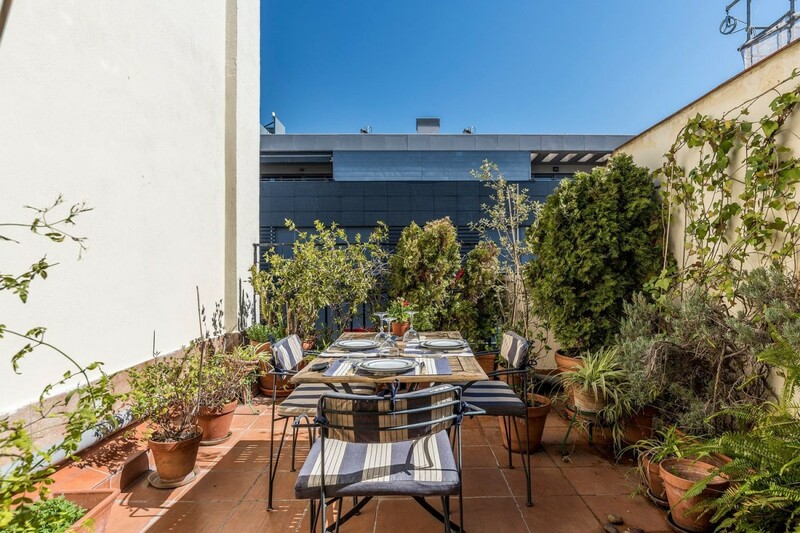 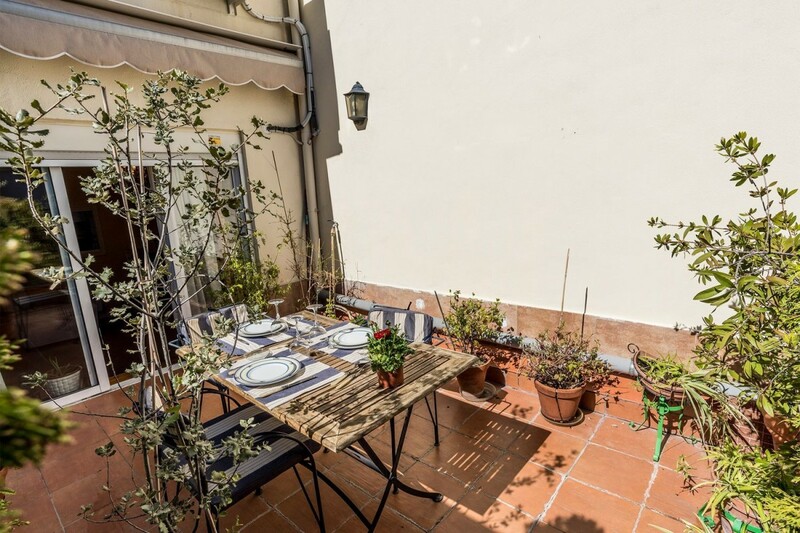 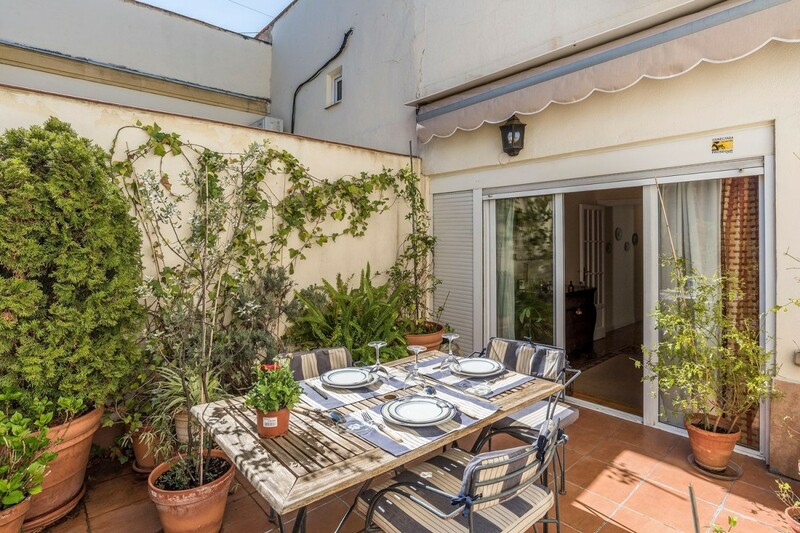 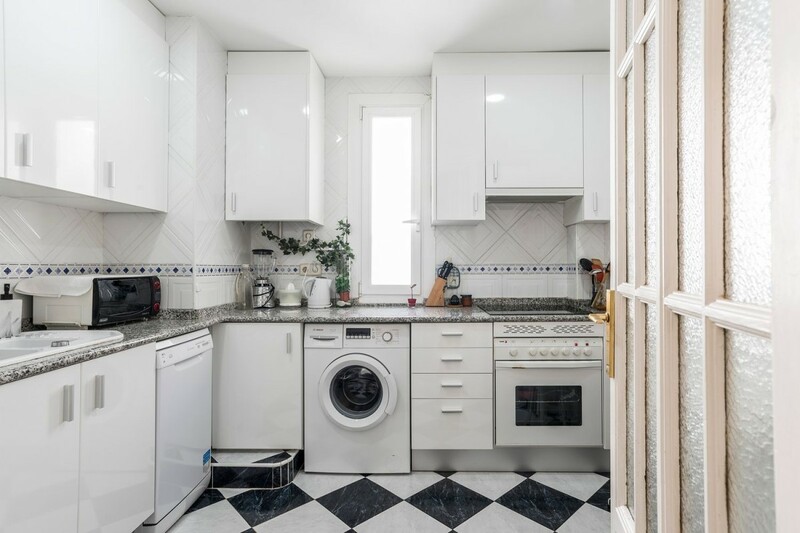 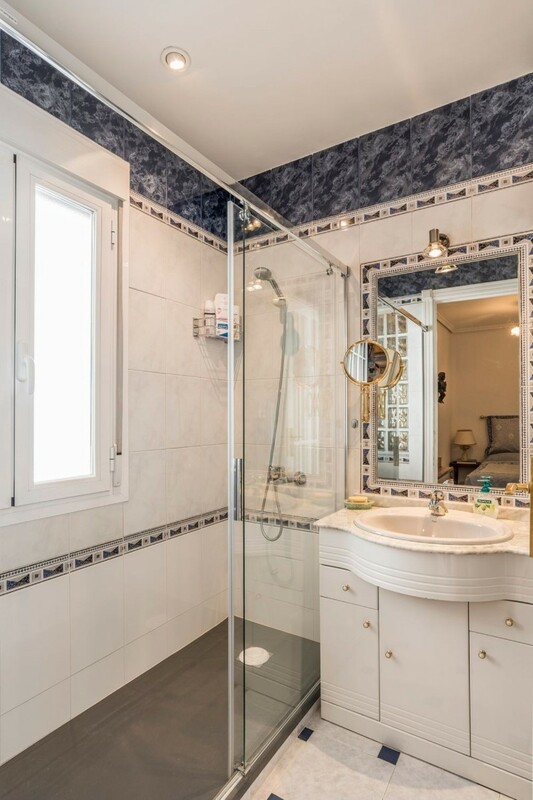 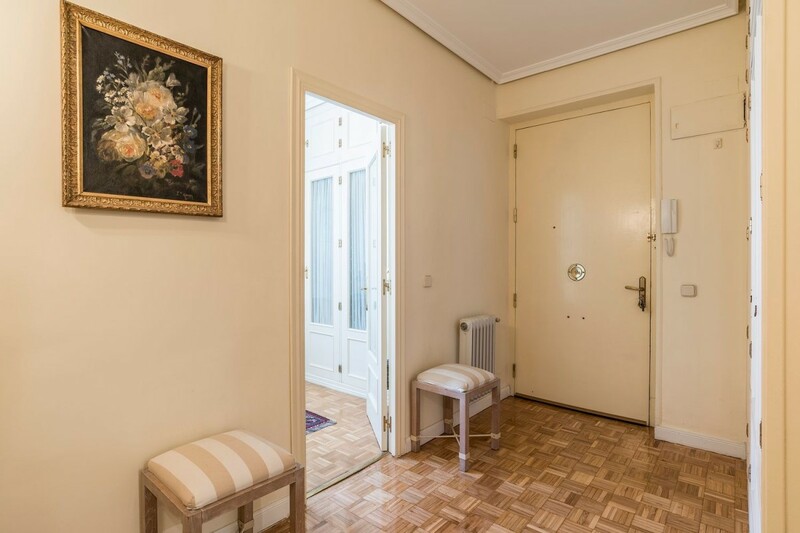 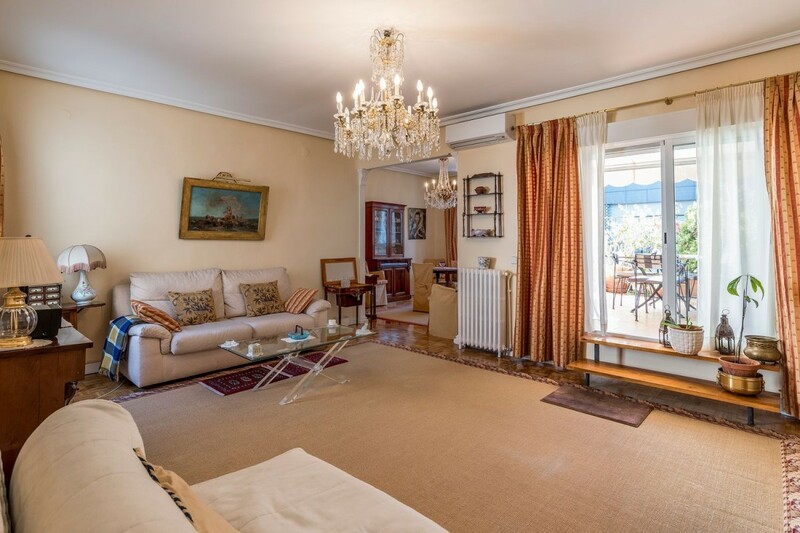 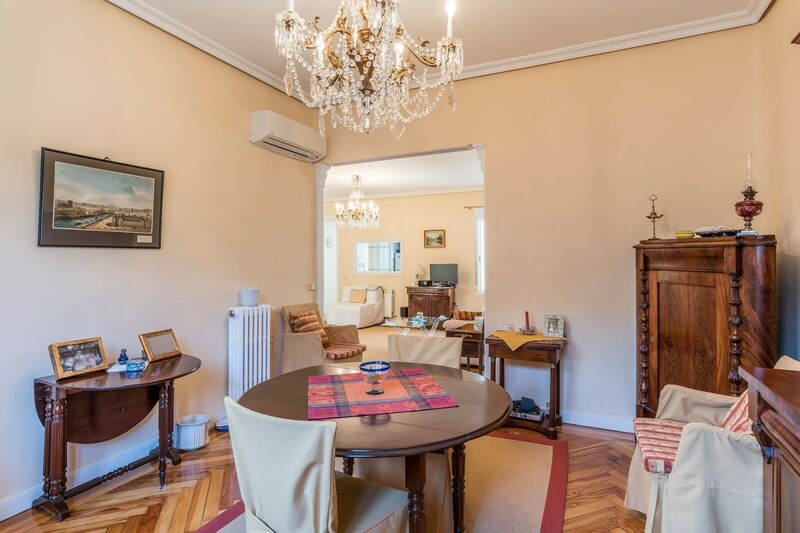 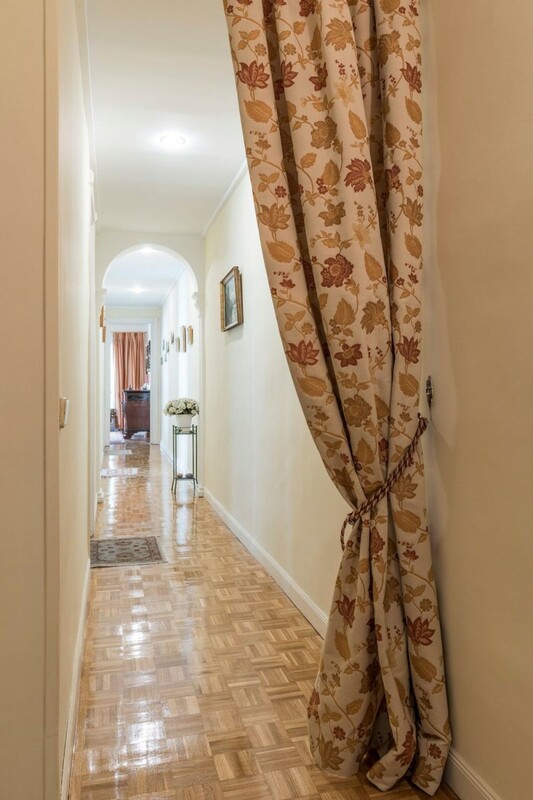 Penthouse in Salamanca neighborhood, with a terrace of 12 m2 free from prying eyes. 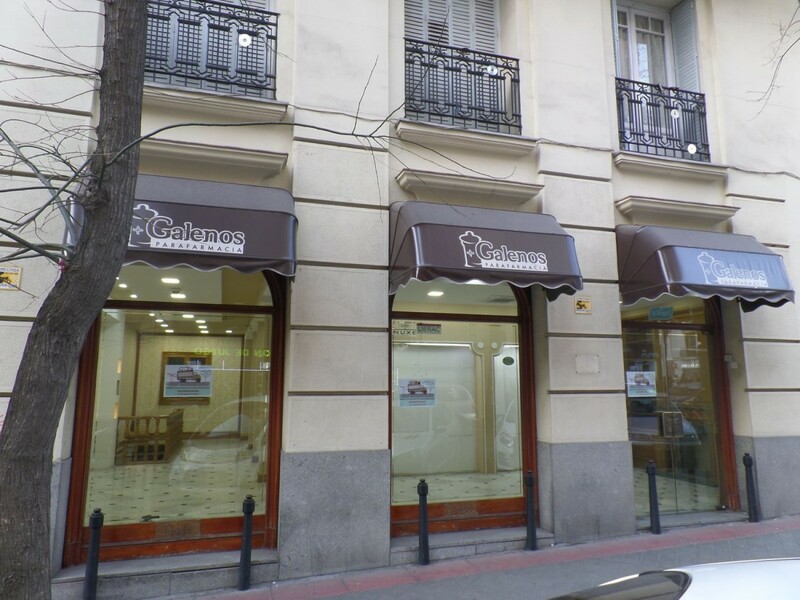 Next to the English court of Goya and in front of the market of Torrijos. 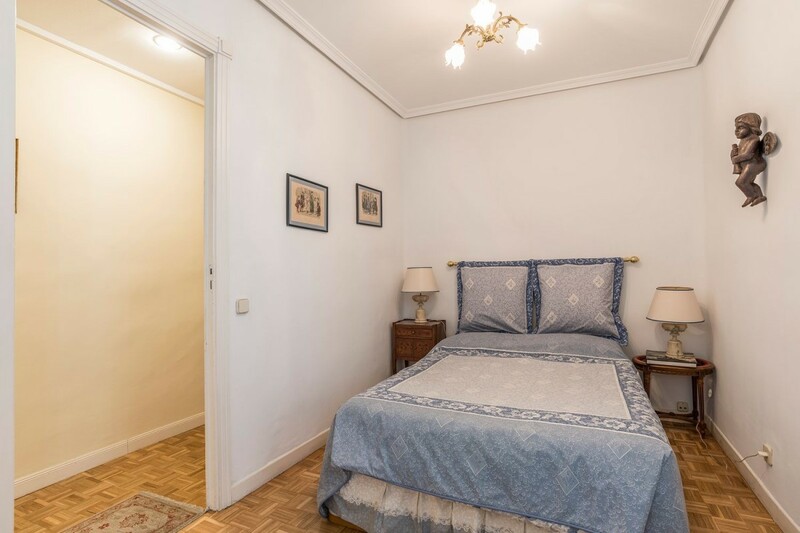 Currently the apartment has two bedrooms (originally had four). 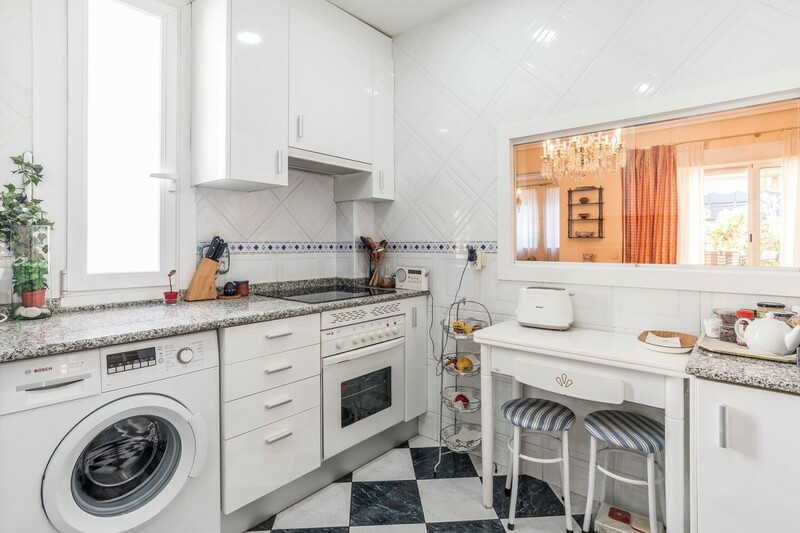 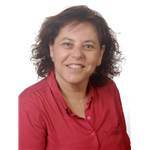 Housing in very good condition, completely renovated. 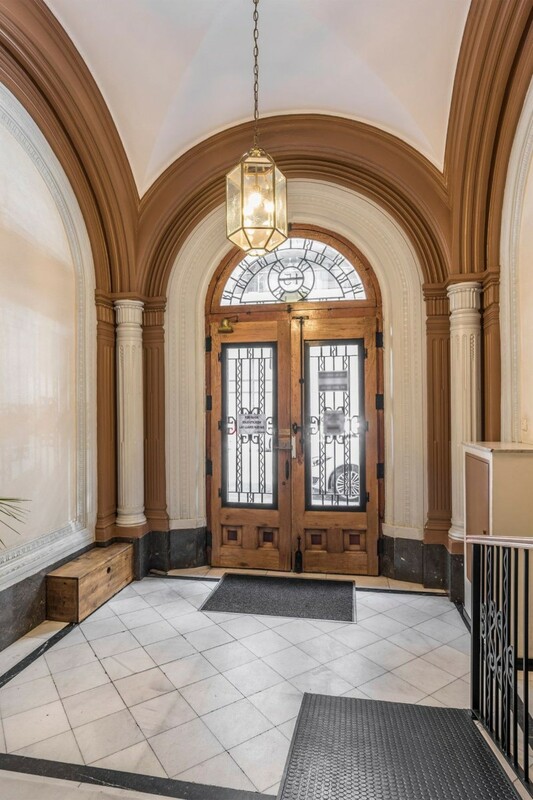 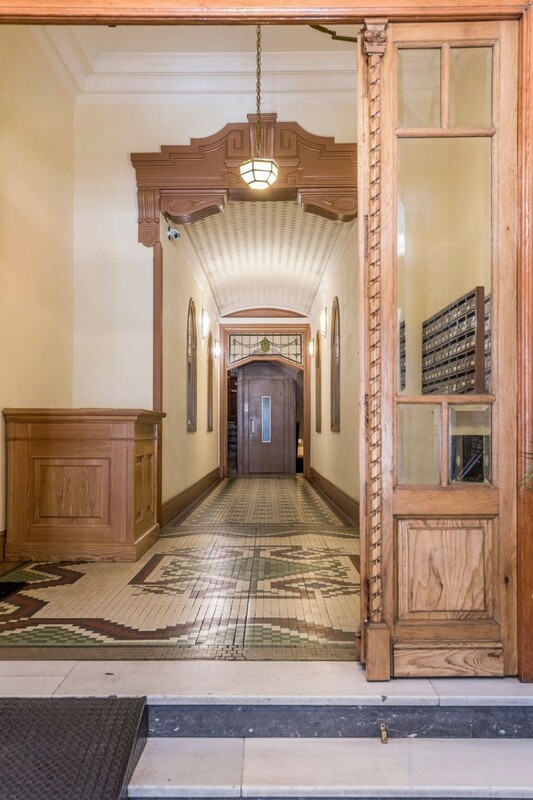 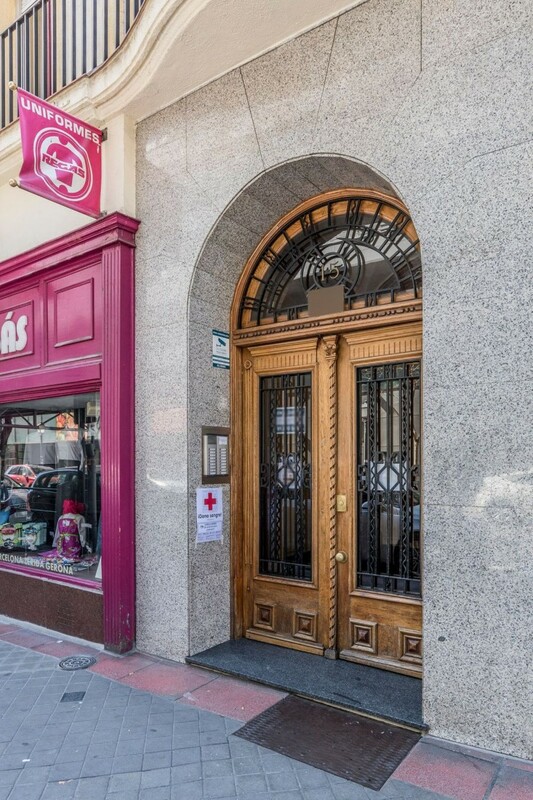 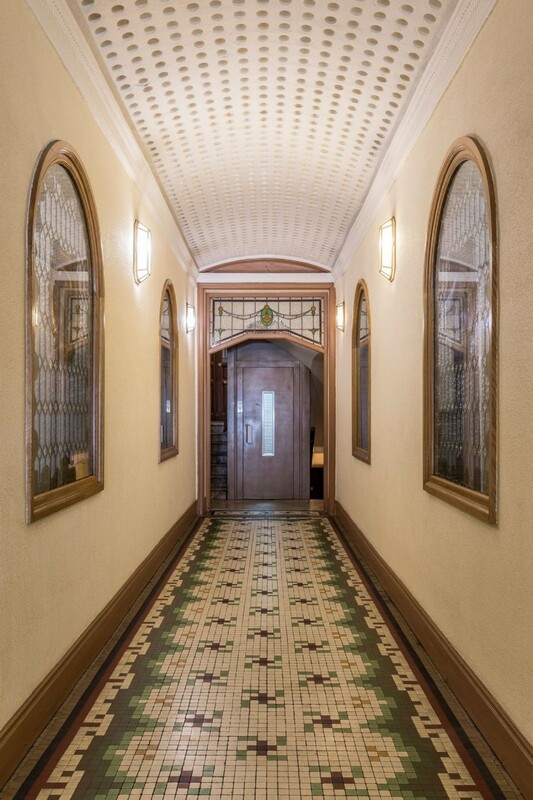 1930 building completely renovated and well preserved, respecting the construction of the time, flooring, stained glass, wooden stairs.. . 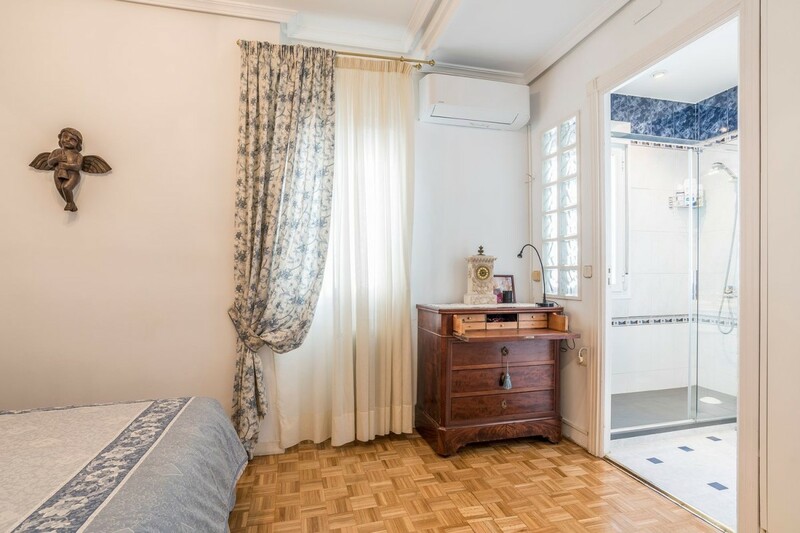 The house is distributed in living room with access to outdoor terrace, 2 bedrooms, one with en suit bathroom, kitchen, bathroom with bathtub. 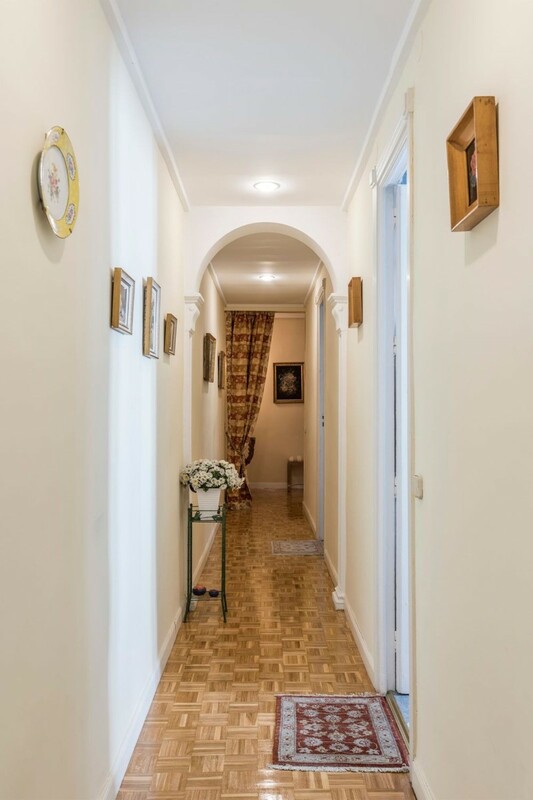 Renovated maintaining the interior carpentry and floating flooring in dining room, smooth painting with plaster moldings, aluminum carpentry lacquered in white with double glass, mosquito nets, cabinets to measure. 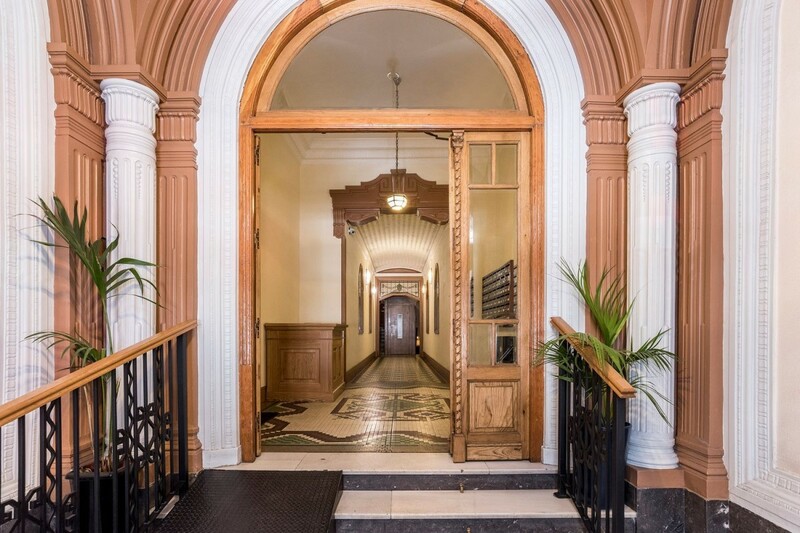 The property has a physical and automatic doorman. 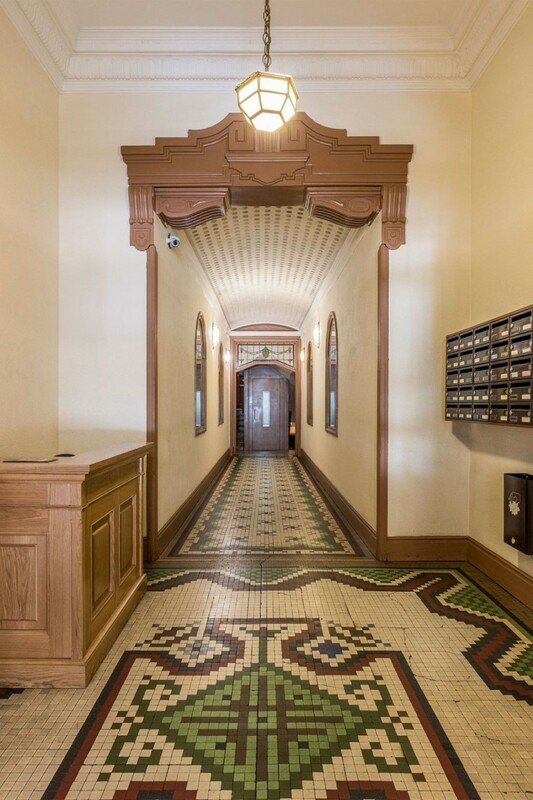 The building has the ITE passed favorably in 2011, where the structure and foundations, facades and dividing walls, roofs and roofs, plumbing and sanitary installation were fixed.